When it comes to powerhouse nutrition from Mother Nature's superfoods, few things exceed the extraordinary properties of bee pollen. It's a complete superfood that's rich in nutrients, amino acids, vitamins and unique nutrients rarely found elsewhere... and it's now available to you in a certified organic, laboratory-verified format. Organic bee pollen is difficult to come by, and with all the counterfeiting in the honey and pollen markets, it's crucial to acquire it from trusted sources. 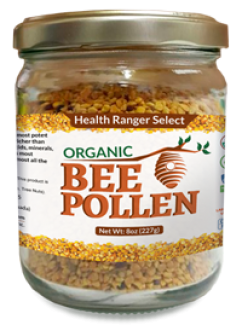 The Health Ranger's Organic Bee Pollen is sourced solely from carefully selected beekeepers in Spain, and it's 100% certified organic, non-GMO, wheat-free and dairy-free. 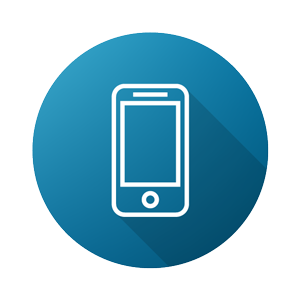 It has also been extensively tested in our private laboratory for its composition and purity. Bee pollen is actually flower pollen that has been collected by bees for their own nourishment. 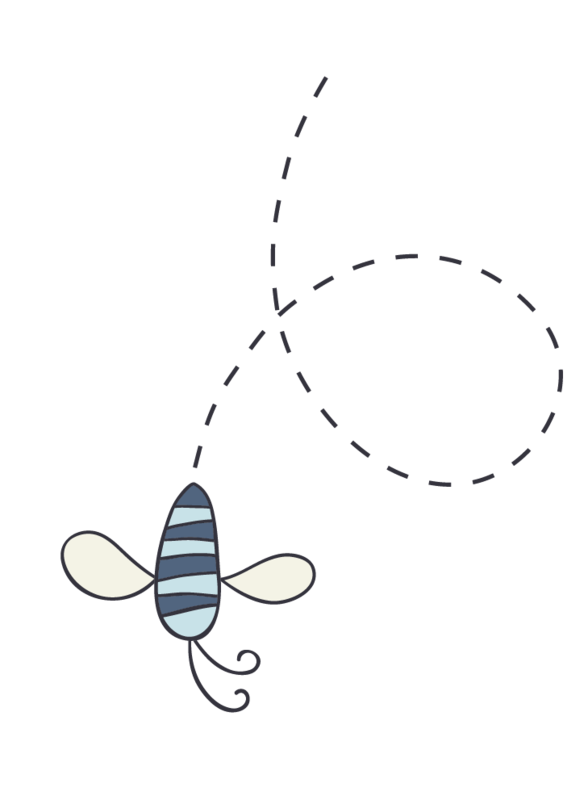 It is harvested by encouraging bees to drop a small portion of the pollen they collect. However, there is plenty left for them to feed their entire hive. 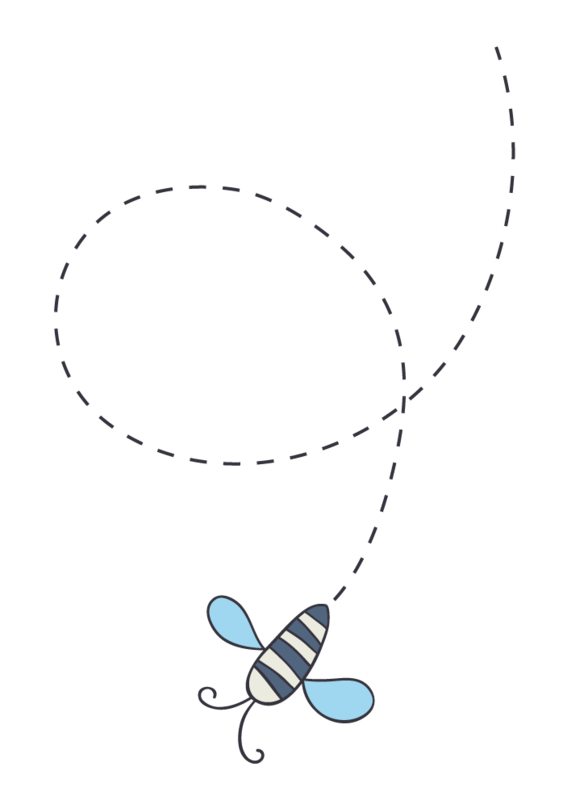 While gathering pollen, honey bees also pollinate flowers and crops – a crucial function for the proliferation of fruits, nuts and a wide variety of food crops. Buying organic, sustainably harvested pollen helps beekeepers remain in business, supporting their expansion of honey bee hives and pollination operations. Due to the widespread use of neonicotinoid agricultural chemicals, almost a third of the entire bee population of the US has disappeared in the last decade. Commercial demand for bee pollen helps provide funding for the care and expansion of these all-important pollinators, without which we would all starve. 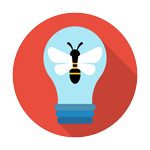 TIP: Buy organic bee pollen from sustainable sources and help promote more pollinators! Organic bee pollen is a great energy booster: due to the protein, carbohydrates and vitamin B it contains, it can help you fight off fatigue. 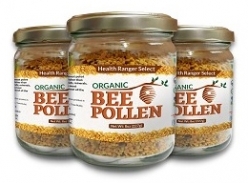 Organic bee pollen is my top choice when it comes to nutrient-dense superfoods. This powerhouse of nutrients provides almost everything your body needs; plus, The Health Ranger's Organic Bee Pollen is ethically and sustainably sourced, helping beekeepers support the expansion of these all-important pollinators for our world. With bee pollen, you can maximize your own nutrition while simultaneously supporting pollinators that are in desperate need of recovery. Get your inner balance back with one of the world's most powerful superfoods - The Health Ranger's Organic Bee Pollen. 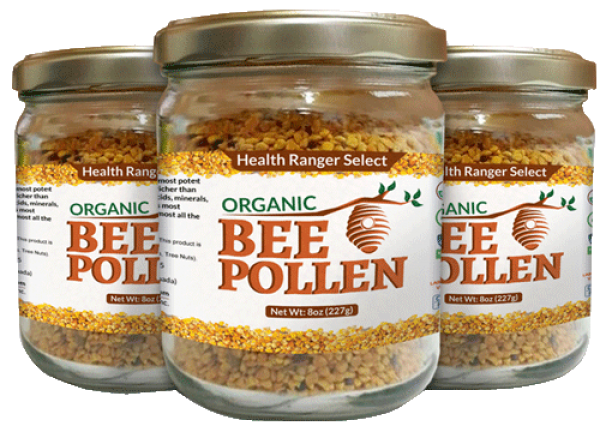 With a plethora of health benefits, organic bee pollen is ideal for the entire family. If this is your first time consuming it, you will notice amazing changes in your body from the very first week. Start with a few grains each day and work your way up to 1-2 tablespoons/day.